Here’s a quick look at the governor’s record on health policy in Indiana. Pence has been a vocal opponent of Obamacare, or the Affordable Care Act, even after the law passed in 2010 and was upheld by the Supreme Court. But when faced with the choice of whether to expand Medicaid to cover Indiana residents who earn 138 percent of the federal poverty level or below, a key part of the ACA, he made a compromise. He debuted a conservative-friendly version of the expansion, one that requires Medicaid recipients to pay a monthly contribution, based on income, into a health savings account. Miss a payment, and you can be bumped to a lower level of coverage, or lose it entirely, for six months. Now, after a year and a half, the Healthy Indiana Plan, or HIP 2.0, has enrolled about 190,000 more people into health coverage. Caitlin Priest, director of public policy at Covering Kids & Families of Indiana, says the plan has helped many people get health insurance for the first time in their lives. “It’s really been a wonderful way to move the needle both on healthcare access and ultimately on long-term health outcomes,” she says. 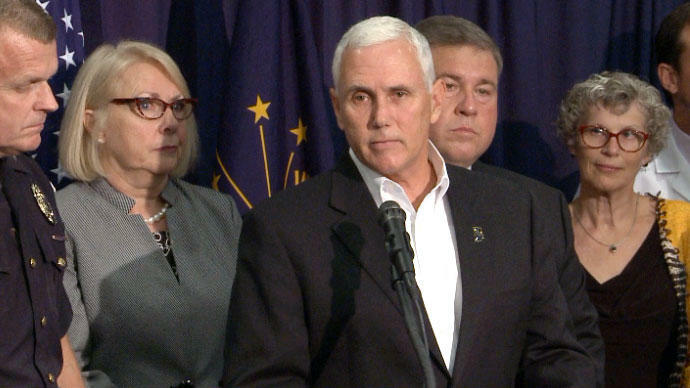 Pence drew criticism from local and national infectious disease experts for his response to an urgent health crisis in Indiana. In February of 2015, the state reported an outbreak of HIV in Scott County, blamed on opioid addiction and needle sharing. It got so bad—growing to more than 80 cases within a month after the announcement and more than 190 to date—the CDC came in to investigate, and public health experts began calling for a needle exchange. At the time, syringe exchanges were illegal in the state and Pence was opposed to changing that, at first. He later signed an emergency declaration allowing Scott County to start a needle exchange. Rather than legalize exchanges statewide, Pence signed a bill that forces counties ask permission to start a needle exchange. Only a few counties have done it so far because the process takes a lot of planning, local support and money, which the state doesn’t provide, says Carrie Lawrence, a researcher with the Rural Center for AIDS/STD Prevention. “If you’re the health department with only two part-time staff and a full-time health director, who’s going to do this, and when is it going to happen?” Lawrence says. Lawrence says the HIV crisis also brought some attention to Indiana’s lack of public health funding in general. “I think we are dealing with the consequences of the fact that that we don’t have a strong infrastructure for public health in the state,” she says. As governor, Pence signed legislation that cut Indiana’s budget for public health programs, despite the state’s many pressing public health problems. The state has a high smoking rate, high obesity rate, and high infant mortality rate. Indiana is ranked nearly last for both federal and state public health funding. According to Trust for America’s Health, Indiana spends just $12.40 per person. West Virginia, the number one state, spends more than $220. As a member of Congress from 2001 to 2013, Pence voted against funding for health programs such as the State Children’s Health Insurance Program and the Prevention and Public Health Fund. As a congressman, Pence was an early advocate for defunding Planned Parenthood, and this year, women’s health advocates have clashed with Pence again. In March, the governor signed a bill that’s been cited as one of the most restrictive in the country, barring abortion on the basis of of disability, gender or race of the fetus. 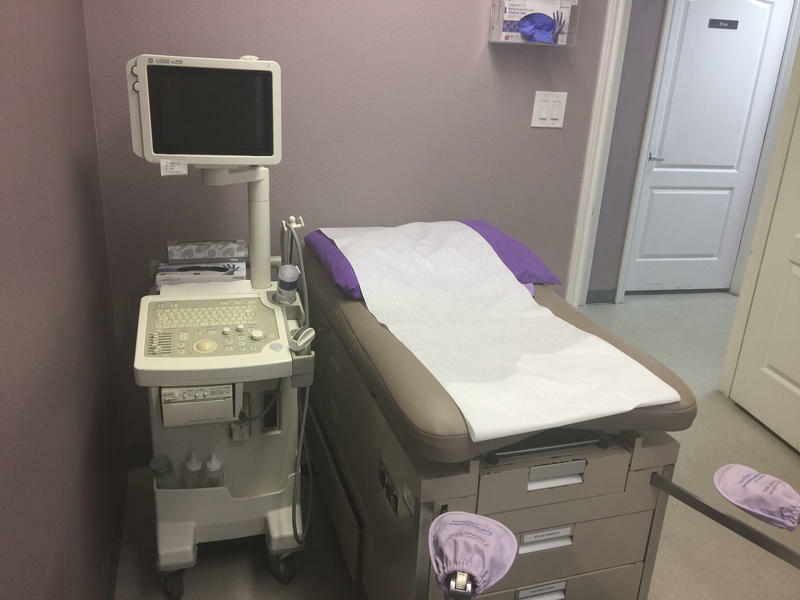 It also requires women to get an ultrasound at least 18 hours before the procedure, and that the fetal remains be buried or cremated. Some Indiana women responded by updating the governor’s office with (sometimes graphic) news on their menstrual cycles by phone and on social media with hashtag #periodsforpence. The social media backlash mirrors #periodsarenotaninsult, which took aim at Trump last year. The Indiana ACLU brought a lawsuit against the state—and a judge has since blocked portions of that law. “What the state of Indiana has attempted to do here…grossly flies in the face of existing law,” says ACLU lawyer Ken Falk. 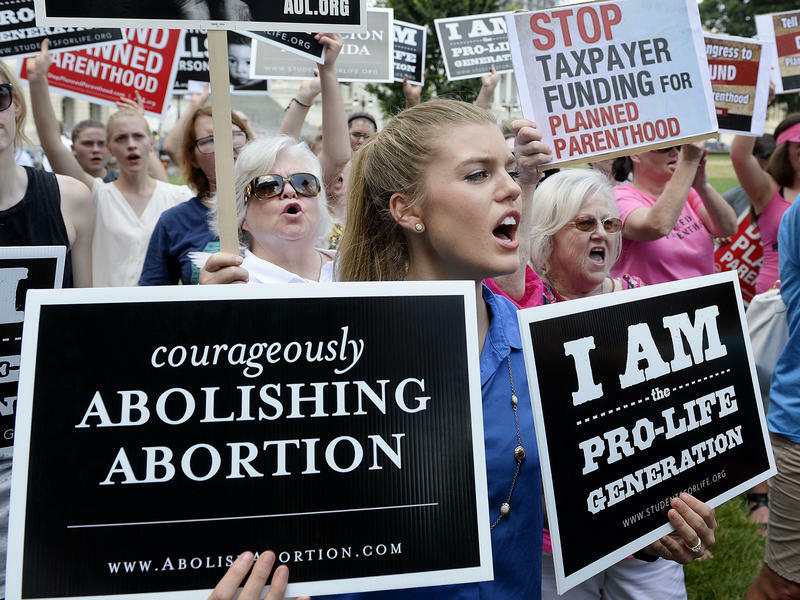 Even with the death of Justice Antonin Scalia, Wednesday could mark a potential turning point for the Supreme Court on the subject of abortion. 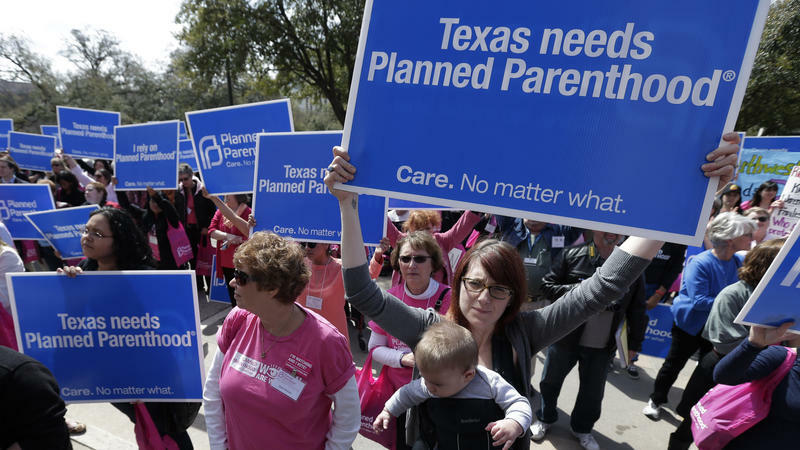 At issue is whether a new Texas law imposes restrictions that unconstitutionally limit a woman's right to terminate a pregnancy. Last June, a federal appeals court upheld the law. If the Supreme Court agrees, it would mean a dramatic cutback on abortion rights across the country, and potentially a steppingstone toward the reversal of Roe v. Wade. Once again this week, an investigation into Planned Parenthood's alleged sale of fetal tissue came up empty.